We’re going to look back on last year as a genuine WTF?! moment in CPU tech. And this inaugural i9 processor, the Intel Core i9 7900X, is one of the bits of silicon we’ll hold up to exemplify all the weirdness. There’s a whole lot of serious silicon out there right now, so check out our pick of the best CPUs for gaming so you know where to spend your upgrade cash. The Core i9 7900X is a ten-core $969(£780) processor. Last year, that would have made it the tippy top of Intel’s high-end desktop (HEDT) tech tree, but this year it’s the bottom rung of the new Core i9 range, and sits in the middle of the entire X-series CPU stack. Yeah, a ~$1,000 CPU as a mid-ranger. Told you times were weird. As much as Intel are keen to keep on trotting out the old‘none of this has anything to do with AMD, honest’ line we know that, without increased AMD Threadripper-shaped competition from the red team, we wouldn’t be looking at a new range of processors topping out at a ludicrous 18 cores. But none of that has happened yet. The Core i9 7980XE is a $2,000 chip, after a few hastily scribbled drawings on the back of an engineer’s napkin left in the Intel canteen. AMD’s 16-core offerings though offer a far more tantalising prospect for anyone looking for a high core-count CPU. 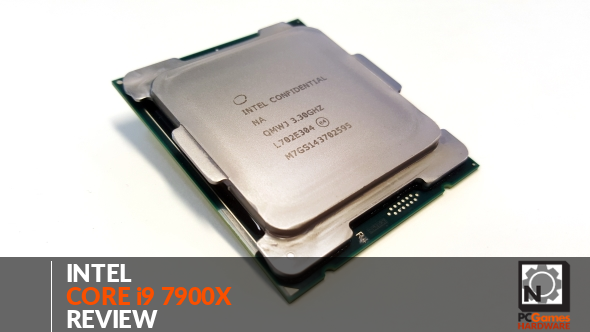 , is there anything to be gained from trying to get your mitts on a Core i9 7900X right now? Click on the jump links below to get to your chosen section double-quick. 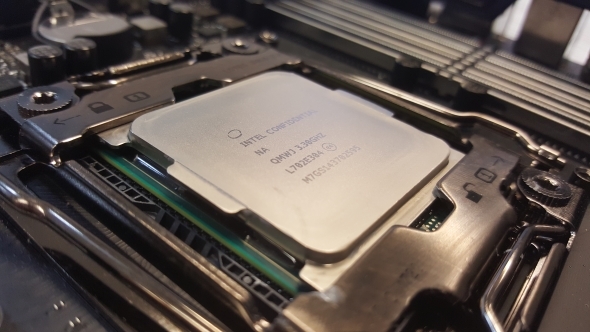 The i9 7900X is only the second decacore CPU Intel have produced, with last year’s Broadwell-E Core i7 6950X being the first to land in a consumer desktop. It’s built on the updated 14nm CPU architecture Intel first introduced with the Skylake range of mainstream processors at the end of 2015. Since then, we’ve had the subsequent Kaby Lake update, with the likes of the Core i7 7700K and i5 7600K. Intel are also bringing that same architecture to bear on their HEDT range with the Kaby Lake-X Core i7 7740X and Core i5 7640X chips. In real terms, there’s not a lot of difference between the earlier Skylake and Kaby Lake updates, so it makes sense for Intel to bring the HEDT chips up to date with their current chip architecture for the first time. Traditionally, the HEDT range has been a couple of generations behind the mainstream market. On the surface, there’s not a lot between those designs and the older 14nm Broadwell-E one either, but there are a few key underlying differences which Intel have brought to bare with the new Skylake-X architecture. 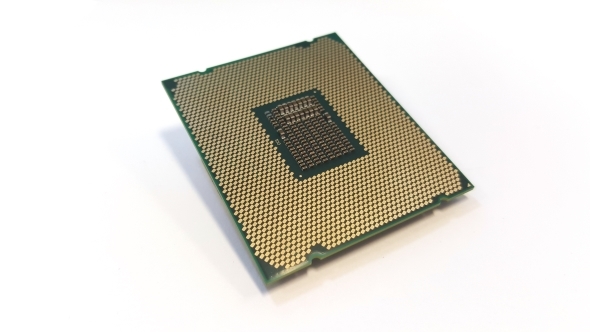 The main one being Intel’s introduction of a new mesh architecture, brought in from the Xeon server side of the business, to replace the previous ring bus CPU design. 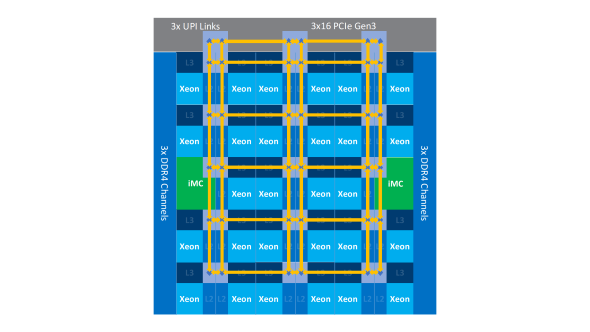 It’s essentially a new set of interconnects to sit inside the CPU, specifically designed to cater to the demands of chips with many more cores than they’ve previously been specced out for. It’s roughly analogous to AMD’s Infinity Fabric, which connects the two quad-core Zen modules in their octacore Ryzen CPUs. Y’know, the ‘glue’ that Intel have previously mocked the red team for using to connect the Zen modules in their AMD Threadripper design. The old ring bus was starting to look a little out of touch with Broadwell-E’s high-core-count chips, with it providing an increasingly circuitous route for data shifting between core components. The new mesh system has more of a cross die grid structure, which Intel claims provides higher bandwidth and lower latency – while also operating at a lower frequency and therefore lower voltage – than the ring design. Intel have switched around the cache hierarchy on the Skylake-X chips too. They’ve decreased the L3, last-level cache (LLC), on a per-core basis, but are providing more low-latency L2, mid-level cache (MLC). That manifests itself as a reduction from 2.5MB L3 cache/core with Broadwell-E down to 1.375MB/core with Skylake-X, but with an increase from 256KB/core of MLC up to a full 1MB/core. 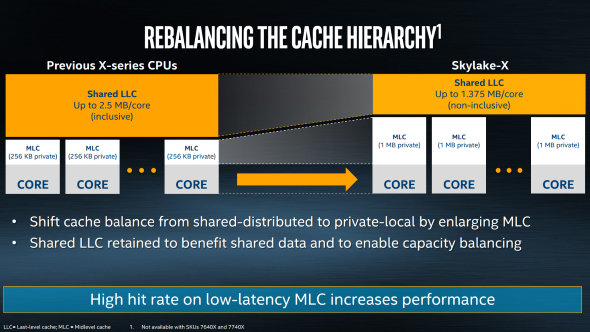 The shared LLC is great for distributing data across cores, but by enlarging the amount of responsive MLC cache dedicated to each core, Intel claim they are able to boost core performance too. In memory news, the platform’s quad-channel DDR4 support has been increased from Broadwell-E’s 2,400MHz max to a 2,666MHz standard with the Skylake-X chips. Well, all except the bottom-end hexcore i7 7800X, which has the old specification. Intel have also implemented a new version of Turbo Boost Max. With the Skylake-X CPUs, the chips are able to identify the two fastest cores within their processor package and utilise those specifically for less thread-intensive workloads – that ought to be good for game loads as they should be able to max out the speed on specific cores doing the majority of the gaming grunt work. The Broadwell-E chips, by comparison, were only able to identify the quickest single core and prioritise that. We also get a whole new socket with the new X-series. 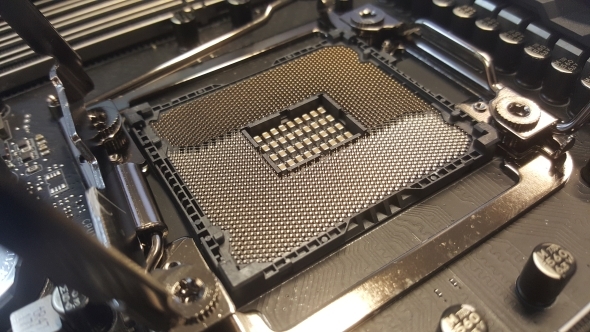 The X299 chipset comes with the LGA 2066 socket housing, you guessed it, 2,066 pins for you to accidentally jam your thumbs into and b0rk your board. Good times. That’s the broad overview, but, in terms of specifics, the Core i9 7900X is a ten-core CPU making full use of Intel’s HyperThreading technology to deliver a hefty 20 threads of processing goodness to the user. That, in itself, is not massively exciting, given that we had our first taste of such a multicore CPU last year, but the speed at which Intel have got the first Core i9 running is impressive. 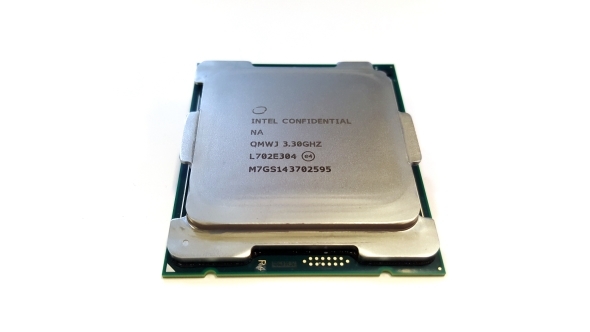 The first Intel decacore, the Core i7 6950X, had a base clock of just 3GHz and a Turbo frequency of 3.5GHz. Once in a blue moon, if the wind is blowing in the right direction, and you’ve completed the necessary incantations in perfectly pronounced Esperanto, you might be able to get the single-core frequency up to 4GHz. The Core i9 7900X has a base clock of 3.3GHz, which doesn’t make it seem a huge amount quicker than its forebear, but the big difference is that Turbo speed of 4.3GHz. That’s not just a single-core boost clock either. In our MSI X299 Gaming M7 ACK test board, the 7900X runs with all cores at 4.3GHz whenever it’s being pushed by CPU-intensive applications. Intel have also given it a Turbo Boost Max frequency of 4.5GHz, but the gods were obviously displeased with us as we never saw hide nor hair of such speed in stock configuration. I fear for this year’s harvest… we must consult the oracle. Because of the rejigged Skylake-X cache hierarchy, the 7900X has a slightly smaller total cache than the 6950X’s 25MB. The 7900X, by contrast, has 10MB of L2 and 13.75MB of L3 cache for a 23.75MB total. Y’know, just in case you couldn’t do the maths by yourself. Guess what, it’s quick. Actually the i9 7900X is the quickest processor I’ve ever tested. Intel have launched the fastest desktop processor ever and it’s not even going to be the most powerful X-series CPU in the range. Golly. That makes the Core i9 7900X a tough act to follow, not just for AMD’s Threadripper, but also for the rest of Intel’s HEDT range. It’s got unprecedented multi-threaded performance, easily topping last year’s inaugural ten-core 6950X, making AMD’s octacore Ryzen 7 1800X look every inch the half-price option. The i9 7900X, thanks to that impressively high all-core Turbo clockspeed, also has some serious single-threaded chops too. But that doesn’t always translate into a big performance lead in-game. With the Hitman and Total War benchmarks the Intel CPU displays its single-threaded dominance over the current top AMD part, but that disappears with the Vulkan version of Doom and even in GTA V. That said, benchmark performance of Grand Theft Auto has fluctuated since our Ryzen testing, as you can also see with the legacy frame rates of our old 6800K sample. 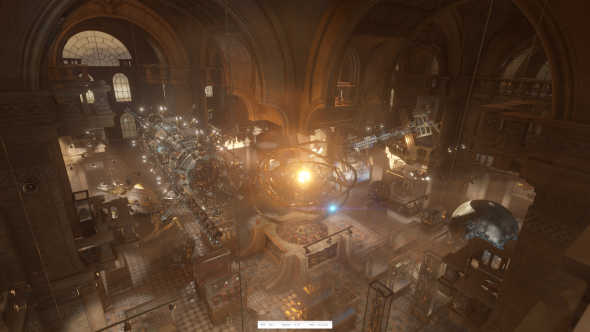 The biggest gaming performance difference, however, was in the Civilization VI AI benchmark. 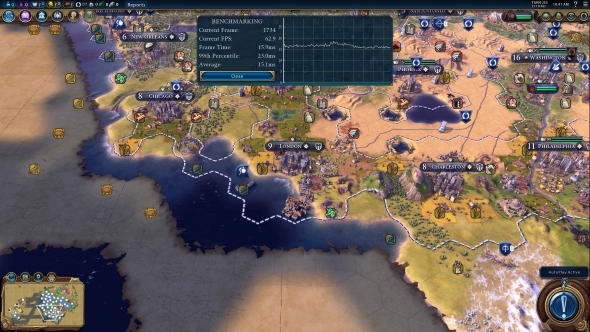 The average turn time for the AI to make its strategic moves was nearly six seconds faster with the 7900X compared with the eight-core AMD chip. But that slight overall gaming performance lead is not going to justify spending twice the money to get the extra two cores the Intel i9 offers over the Ryzen CPU. Us gamers just aren’t getting enough extra out of the X-series platform to make it worth serious consideration. That’s true even when considering the extra overclocking headroom the Intel chips have. I was able to get the 7900X to run with an all-core clockspeed of 4.7GHz without any trouble, delivering the highest Cinebench score I’ve ever seen on our test bench. But that comes at a definite thermal and power cost. When pushed above 4.5GHz the temperature of the 7900X becomes more than our all-in-one liquid chip-chiller could handle, even with both the pump and fans running as fast as they could go. At 4.7GHz, the CPU package regularly hit the 100°C mark, at which point the processor starts to throttle individual cores to bring the temperature back down. Anything over 4.7GHz and the throttled clockspeed severely tanks, sometimes to below 4GHz. There has never been a worse time to buy a new high-end CPU. While it’s safe to say that right now the Core i9 7900X is the fastest desktop processor around, that’s in no way an invitation for you to think about buying one. AMD have confirmed their cheaper 16-core Ryzen Threadripper chip will outperform this first ever Core i9 CPU at launch. Even as I write this, Intel have quietly announced the 2.9GHz base clock of the 12-core i9, which is to sit above this in their new X-series CPU stack. This is actually where Intel have backed themselves into a corner by clocking the 7900X so impressively high. The 4.3GHz Turbo the chip happily runs at is way ahead of what they’re going to be able to do when Intel have to jam another two cores into the package, let alone the extra silicon needed to hit 14, 16, and 18 CPU cores. More silicon in the same area means more heat and we know temps start to soar as higher frequencies are used. I can’t see the 12-core i9 7920X being able to hit 4.3GHz on an all-core Turbo out of the box, which will make the more expensive chip slower in a good few metrics. Intel have announced this 2.9GHz base clock for the 12-core chip, and I wouldn’t be surprised to see a Turbo of around 3.8GHz at most. But, with all the competition noise around, it’s easy to forget that, only last year, a much slower, equivalent Intel CPU cost $1,700. That’s a massive change in pricing. If it wasn’t for the 16-core AMD processor retailing at the same price, it would’ve seemed like great value for the pro-sumer in desperate need of a lot of super-fast CPU cores. The fact Intel can ship this quicker chip at $700 less shows what a huge leap forward 2017 has been for processor silicon, but also how much Intel have been sandbagging over the last few generations. I’m also a little nervous of the X-series platform as a whole. 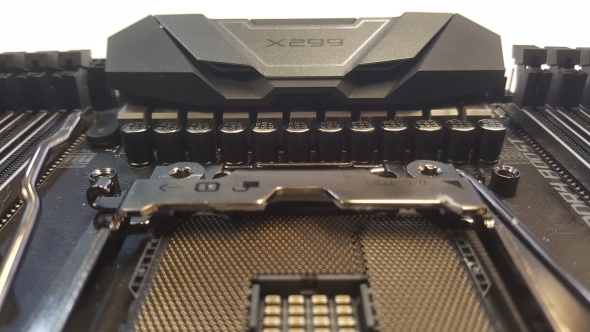 I’ve had some weird experiences during testing, there have been a lot of BIOS updates for the different X299 boards we’ve got in the office, and there have been a few instances of scary temperatures being reported in the power componentry of some boards. The X299 release was a lot earlier than anyone anticipated, and I’m including the motherboard manufacturers in this, too. They will have been told they needed to shave a good couple of months off their X299 production times, and that will have meant rushing through production, and validation, in order to hit the new release schedule. That will explain why there is such a shortage of boards around at the moment, even this long after the initial launch, and why early BIOSes would brick both CPU and motherboard in some instances. So yeah, OMFG, that’s a mighty quick ten-core CPU for a lot less than it would’ve cost to get so many Intel cores last year. But you’d have to be an utter masochist to buy one.